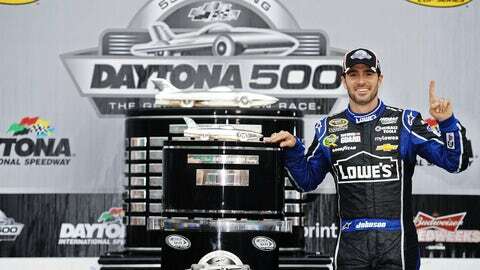 Sprint Cup Series drivers and teams will be back to the grind in two weeks as they prepare for the 2014 Daytona 500 with preseason testing. OK, bored and impatient NASCAR fans, your long national nightmare will be over soon enough: In less than two weeks, there will be cars on track again at Daytona International Speedway. Yes, NASCAR’s annual winter rite of passage, Preseason Thunder at Daytona International Speedway, is about to arrive. For those diehards suffering from withdrawal since the 2013 season finale at Homestead-Miami Speedway, it can’t come a minute too soon. Truth is, many of the drivers are eager to get back at it, too. "I’m anxious to get in the car and just run some laps," said Dale Earnhardt Jr., who is coming off his best season since joining Hendrick Motorsports. "I really miss being in the car driving, just out on the track, just the pleasure of being able to drive the car. I enjoy it, going around the track. I miss being in the garage and working through the issues with the car and trying to work through the car with Steve (Letarte, crew chief)." 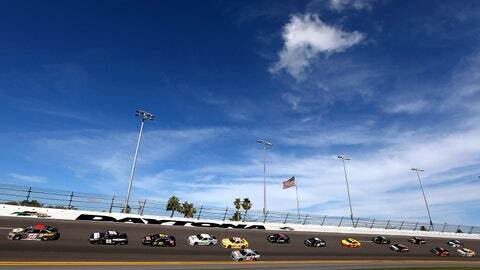 – NASCAR Sprint Cup Series teams test Jan. 9-10 in advance of the 56th annual DAYTONA 500 on Feb. 23. – The NASCAR Nationwide Series will test Jan. 11-12 for their season-opening event, the Feb. 22 DRIVE4COPD 300. – The NASCAR Camping World Truck Series teams will test Jan. 13-14 to get ready for the NextEra Energy Resources 250 on Feb. 21. The 2014 edition of Preseason Thunder represents the first time since 2008 that the Nationwide and Truck Series teams have been at the January Daytona test. All test sessions are scheduled between 9 a.m. and 5 p.m. each day, weather permitting. Each session includes a lunch break from noon until 1 p.m.
"We’re looking forward to hosting all three of NASCAR’s national touring series for Preseason Thunder," Daytona International Speedway President Joie Chitwood III said. "Having the Nationwide and Camping World Truck Series teams join the stars of the Sprint Cup Series in testing the high banks will ignite plenty of excitement for the start of the new NASCAR season." The Preseason Thunder Fan Fests, the companion events to the January testing sessions in the Sprint FANZONE, are scheduled on the night of Jan. 9 for the Sprint Cup Series and night of Jan. 11 for the Nationwide Series. There will not be a Fan Fest or infield admissions for the NASCAR Camping World Truck Series testing sessions. Fans can also watch each day’s testing at no cost from a section of the Oldfield Grandstands. Tickets for Preseason Thunder Fan Fest for the Sprint Cup Series, which include the autograph session wristbands, can be purchased by calling 1-800-PITSHOP. Fans can sign up online for Preseason Thunder Fan Fest ticket information at www.daytonainternationalspeedway.com/thunder. The schedule of driver question-and-answer and autograph sessions will be finalized closer to the event.